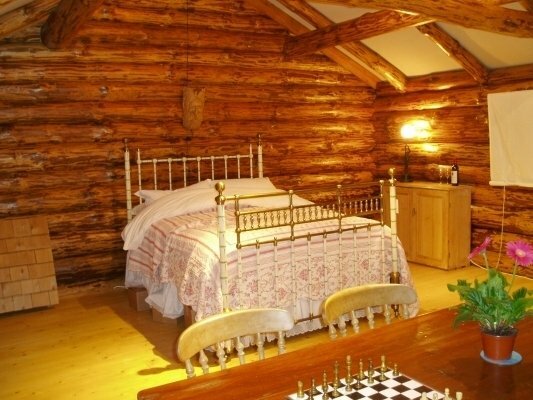 The Log House Company roots originate back to 1984 as Traditionally Constructed Log Cabins; started after voluntary work for the native Indians in British Columbia, Canada. 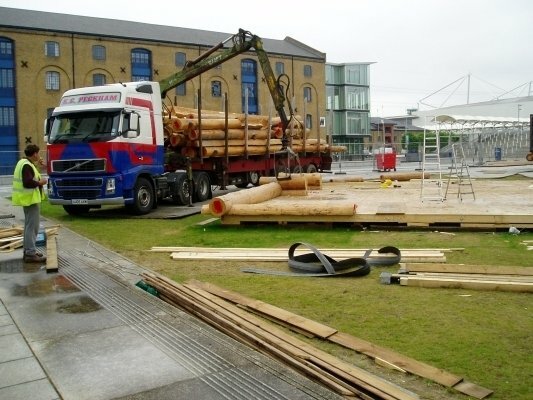 building regulations in the U.K.
Back in 1984, Green Issues were very much in their infancy in the U.K. and the building regulations policies could not accept Logs, (i.e. 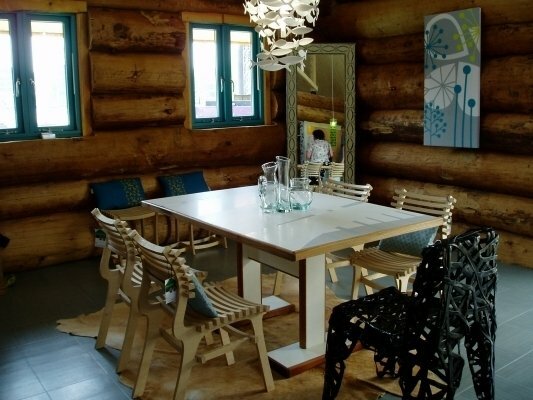 timber) as a suitable building material. 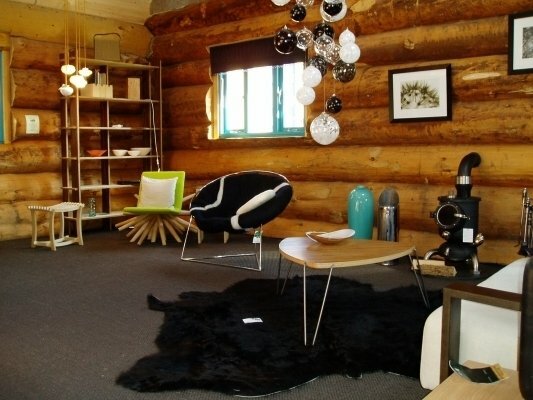 Ironic – Logs being a staple ingredient to many buildings as long as man has been living in them. 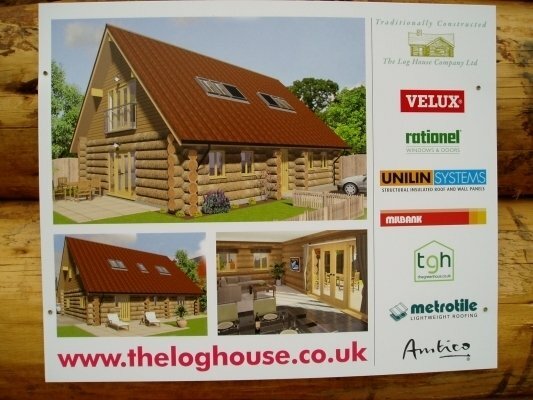 Well, The Log House Company Ltd has proved to the building regulations some facts about real log buildings – some of them are listed below. After several meetings and proving these facts, we have been told we tick more green boxes than they can ask for. There has always been a bureaucratic issue with fire. Most firemen can tell you how larger timbers in a burning building will withstand flame and keep the building structurally sound. Tests have been done on a worldwide basis and the facts make brilliant reading – “the temperature on the hot side exceeded 1100oc (2000f), the cool side never got above 48oc (212f), even after almost 3 hours of burning” and “no structural deformation within 180 minutes in accordance to ISO 834.” * See appendix 2. 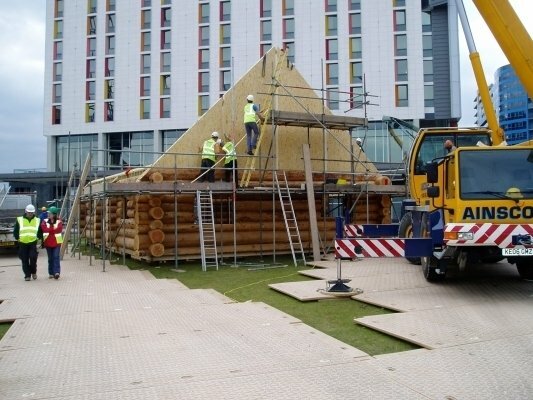 Things get even better – Initially the size of log required took The Forestry Commission and The Log House Co three days to find. The logs were planted in 1935! 70 years old when felled. Our trees are from managed forests i.e. FSC Timber (Appendix 4) and are hand cut so as to protect the outer layer, as this in the building gives the silky smooth un- machined finish inside and out. 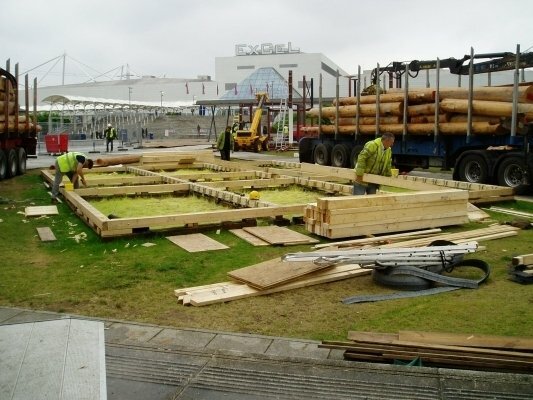 On top of the carbon saving above, the use of trees in a log building effectively “locks” the carbon in, for one square metre of timber, it is calculated that there is at least one tonne of carbon contained within. 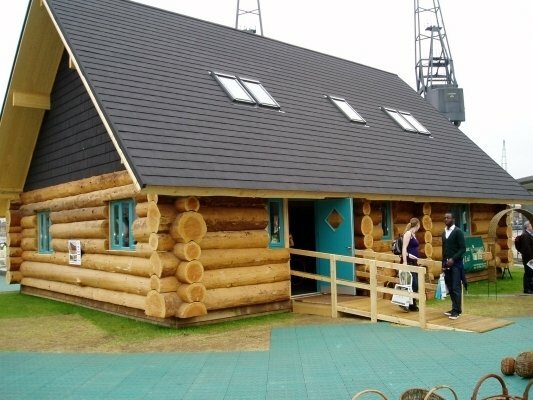 If we use say 45 tones of log, then a log house will store approx.45 tonnes of carbon- these figures are given out by various organisations with some discrepancy between them. 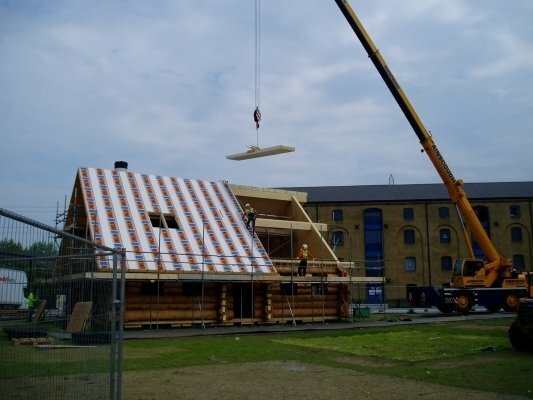 On this too, there is a calculation that not only does a log build use less timber in the manufacture than a standard timber frame with less wastage, but also the actual operating efficiency will be approx. 25% greater- I.E. less expensive to run. 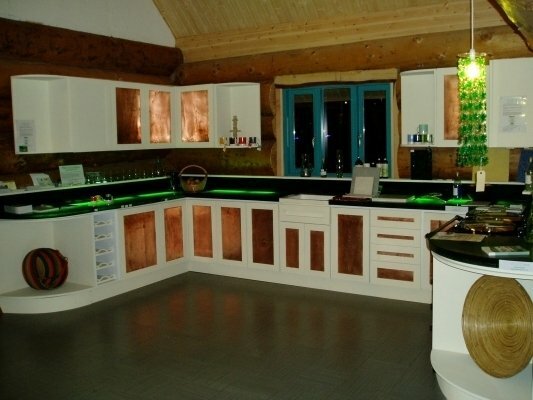 Embodied energy is the amount of energy used to manufacture and transport materials. The trees are normally felled in either Tunstall or Thetford Forest and travel a few miles to Parham Airfield. The cutting process uses approx 2-4 gallons of fuel. From base to plate log (which takes the roof) –12-24 gallons of fuel (less than a lot of people use in one week going to and from work) and the same again biodegradable cooking oil for the chain. That, in nutshell is as much energy embodied in the log wall- plus some sweat! This type of build has an unrivalled low embodied energy- concrete and mortar for example are the other end of the spectrum and use phenomenal amounts of energy in their manufacture. If anyone can tell us of a greener build, please do. 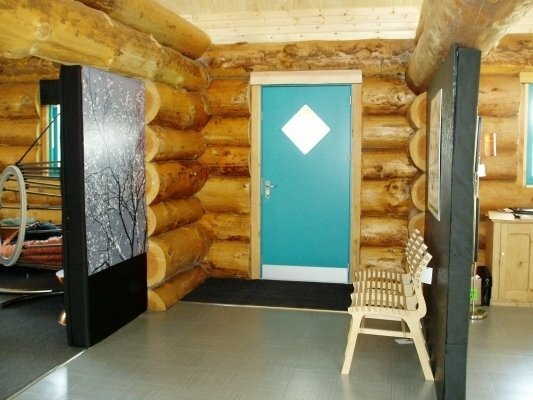 The logs provide a warm feel finish inside, with aesthetics and strength and no need for further surfaces for either effect or protection bar weatherproofing. Well, yes! The building needs to be incorporated with eco friendly utilities… lighting, heating, water etc. These are identified in the Breeam code system (BRE-Environmental Assessment Method) –(Appendix 7) – Viz: Energy efficiency/co2 – water efficiency – surface water management – site waste management – household waste management – and use of materials. If we are serious in reducing the tremendous quantities of carbon from buildings, currently calculated at between 29% and up to 40% of our total output (Appendix 8) could we not use more environmentally friendly buildings? 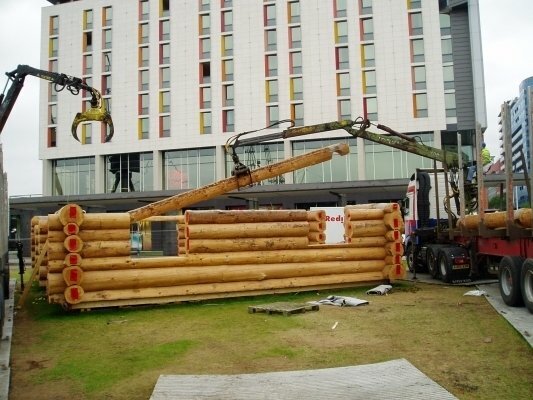 We would be first to agree that a log building does not blend in with all surroundings. But there are several cases where a home grown, renewable, low carbon, low impact, green, thermally efficient and aesthetic build would. 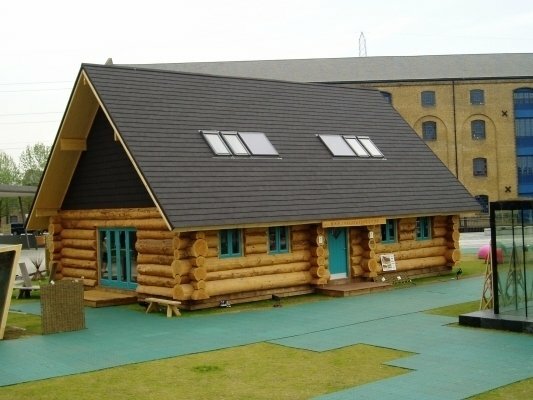 Thermal Calculations: Reference to a) Log Homes Council, The Energy performance of Log Homes, b) Dalibor Houdek c) National Research Council of Canada c) The Log House Co & Mullins & Dowse & JSH Ltd. Spread of Flame: Log Building News, Number 35, September 2001.Ref International Log Building Association. Trees selected are normally approx 70 years old – i.e. 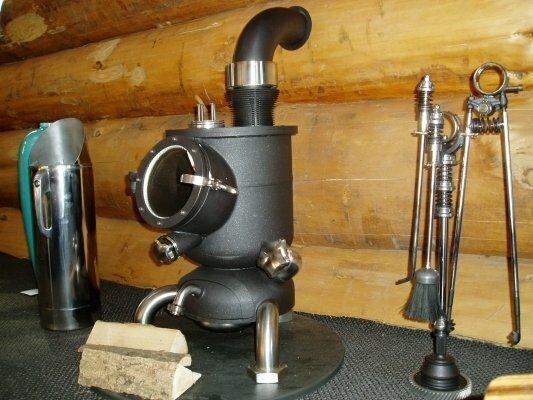 well in to their useful carbon cycle and less able to trap carbon. A juvenile tree will absorb far more carbon than an older tree, hence effectively taking carbon out of the atmosphere. 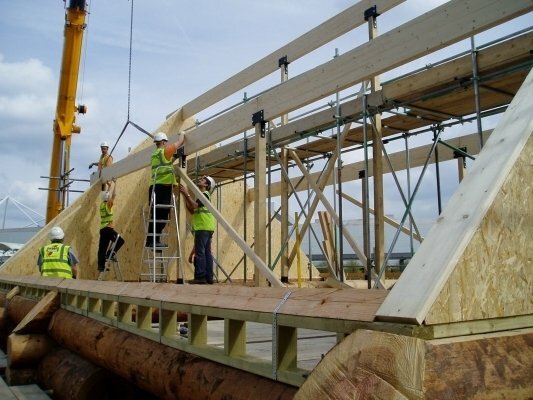 The timber used is from Tunstall Forest; some ten miles from the operations yard, helping again with minimizing pollution with low transport requirements. FSC Forest Stewardship Council, methods of ensuring supplies are from well-managed and maintained woodland. Certificate of Building Air Permeability, Certificate Number 2362, September 2007. 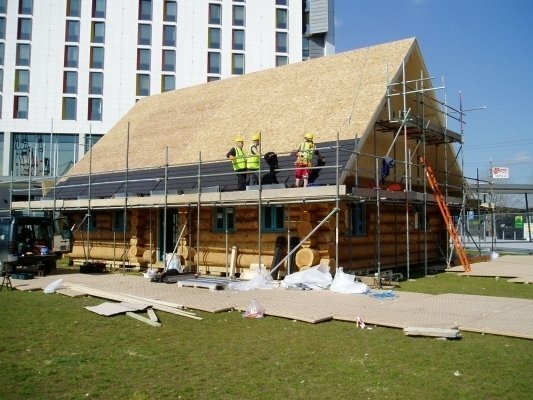 Breeam – The code for sustainable homes; Gildf-02-07 – Carbon emissions and renewable energy ref appendix 1-3, AECB – Association for Environment Conscious Buildings. 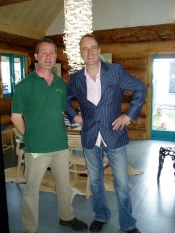 Suffolk – Creating the greenest county; Sustainable building and development seminar.